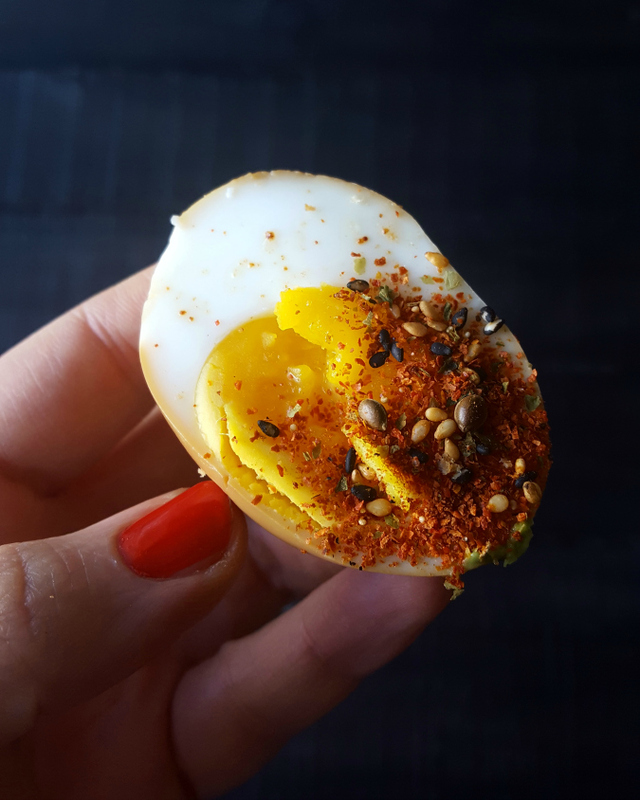 Looking for a fun twist on eggs? I've been loving these Soy Sauce Eggs With Togarashi and have made them twice during the last week and a half. 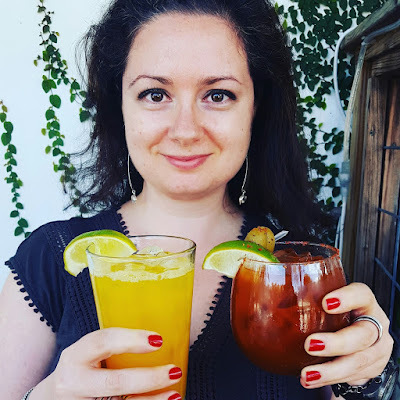 One of the reasons I love instagram is that it serves as inspiration for places to visit, books to read, and recipes to make. Recently I saw a photo of Momofuku soy eggs on Laura's instagram and decided I needed to make them as soon as possible! The recipe that Laura used and that I used as a template comes from Food52. After reading the comments, however, and using some common sense, I knew I'd have to make several changes. 1) I changed the method for cooking the eggs. 2) I decreased the refrigeration time because a) I did not have the patience to wait the original two hours and b) after 1.5 hours the eggs were plenty salty. I can't imagine what they'd taste like after six hours even if using low sodium soy sauce. Oy. 1. 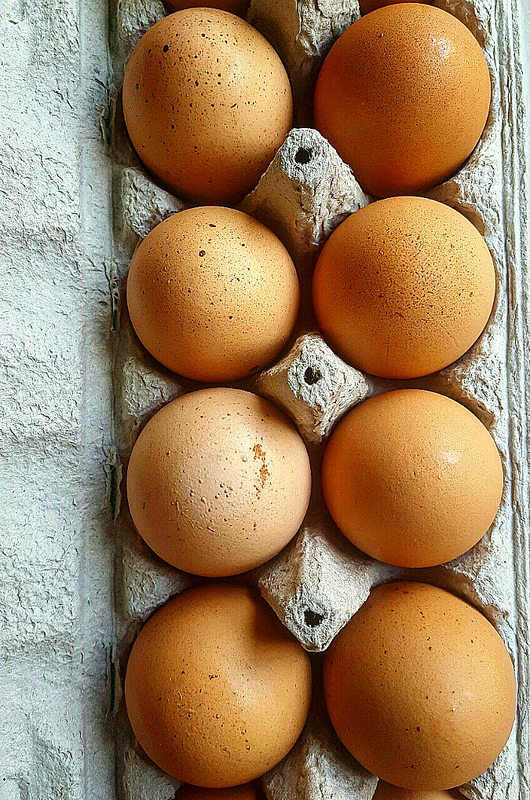 Place the eggs into a small pot and cover with cold water. Bring to a boil, cover, turn off the heat and let stand for 8 minutes. 2. Remove the eggs from the hot water, dunk them into a large bowl filled with cold water and ice cubes and peel after about 5 minutes. 3. Meanwhile, dissolve the sugar in the warm water and whisk in vinegar and soy sauce. 4. I found it best to use a tall container for marinating the eggs. Place the eggs in the tall container, pour over soy sauce mixture and refrigerate for 1.5 hours. I used a small saucer to push down the eggs so they were fully immersed in the solution. 5. 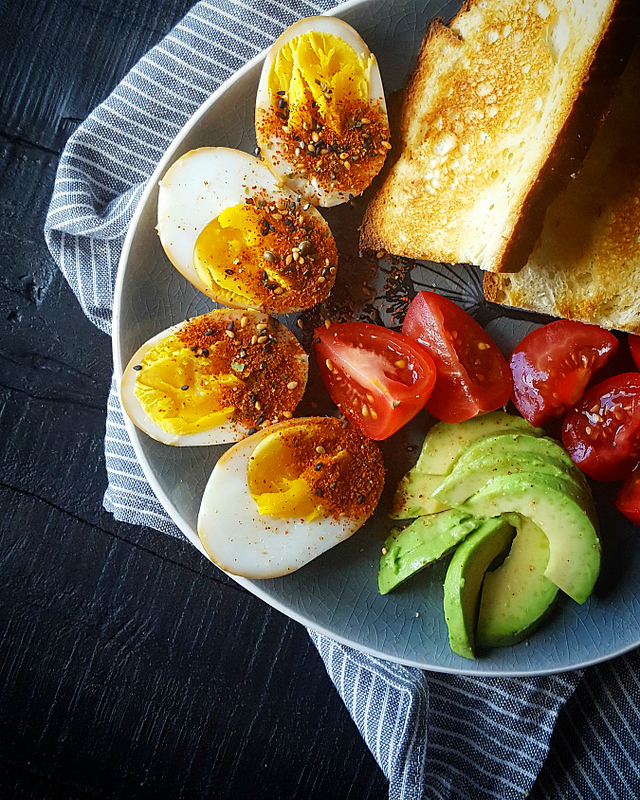 Remove the eggs and serve halved or quartered topped with togarashi with a side of toast, avocado and tomatoes. 6. If you aren't going to use all the eggs at once, store the remaining eggs in a separate container from the soy sauce mixture, which you could reuse later! I LOVED these! The yolk was slightly undercooked, there was no need to add any salt, and the togarashi added great texture and a bit of heat.